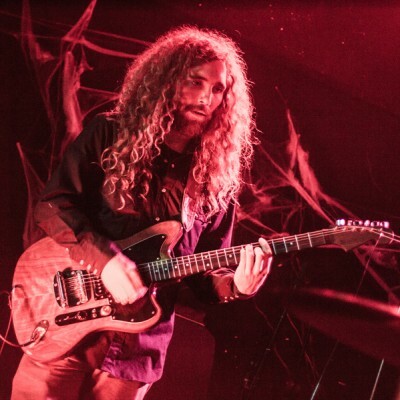 In 2011, friends and bandmates Ty Segall and Charles Moothart came together to form Fuzz, a California-based garage rock band whose inception was inspired by Moothart’s passion for heavier music like Black Sabbath and Blue Cheer. Fuzz was created while Moothart was playing for Segall’s band and soon after its creation, Roland Cosio joined the group. In October 2013, Fuzz released their debut, self-titled album and toured the U.S. Cosio continued to join the band on bass until he was replaced by Chad Ubovich, who is the current bassist in Fuzz. That same year, the group released a 12″ EP titled Live In San Francisco, as well as several 7″ singles. In October, Fuzz released their second full-length album, II. Soon thereafter, Fuzz went on a tour of Europe and the US in support of the album. II was a 14-track record written in collaboration with each band member, which is something that Segall and Mootheart both point to as something they weren’t used to before Ubovich joined the group.